Japanese designers Hiroyuki Horihata and Makiko Sekiguchi both graduated from Japan’s prestigious Bunka Fashion College in 1998. They worked for 5 years as pattern makers, one at COMME des GARÇONS, the other at Yohji Yamamoto, before moving to the UK where they worked with London based designer Bora Aksu. 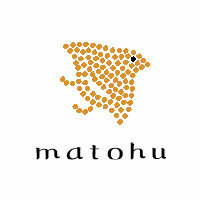 They established matohu (まとふ) in March 2005 and started participiating in the Japan Fashion Week from 2006. In July 2011 the matohu flagship store in Omotesando was opened. An interesting and conceptual brand, they fuse traditional techniques and Japanese history into their collections. The line is often beautiful and ornate and has a proud Japanese heritage. My name is mary . I am very pleased to write this letter to you,our company had contacted with you last year ,I know some companies have not placed an order now,Our company specializing in the production of wool fabrics，we have been developed many new types in fabric,there are 5 types attached file for you choose,please have a look,which fabric you are interested in,please let me know,I will send 6 different samples in same series to you as soon as possible. Waiting for your early reply!